With the Oval Clock with Visible Gears, you can honor those who keep your company running smoothly with their hard work and dedication! This skeleton clock features brass finished movement with a sub-second dial. 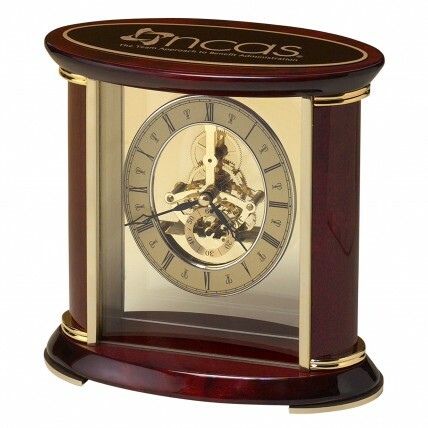 With rosewood piano-finish accents, this beautiful timepiece measures 7 inches wide by 9 inches tall by 3 inches thick. Includes your personalized engraving on the lid.